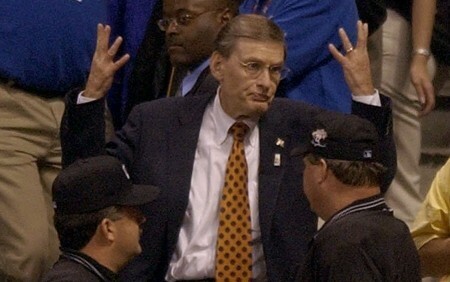 I am of the belief that Allen H. “Bud” Selig is one of, if not the undisputed greatest commissioner our beloved game has ever had. Is that disputable and up for debate? Sure, it is. What, pray tell, about this game, isn’t? Those who have read my musings here, and at blog sites past, know I’m a TLR fan. I’m also big on Bud. (The recently retired commissioner of baseball, not the frosty cold beverage, big boy. Heh heh heh) I don’t think Selig’s reign was without blemish, or that he’s some infallible god of the game. I support a lot of his bold decisions that helped grow the game to move it forward, even if I didn’t like them at the time. 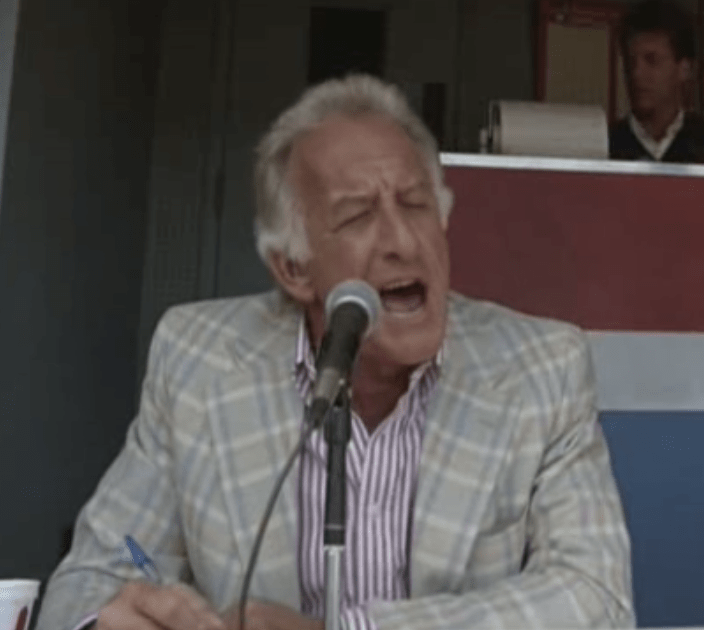 Interleague play, wild card, the other wild card, anyone? I will also be among the first in line to admit that when he missed his spots, they were “juuuust a bit outside”. The end of that ’02 ASG was bad. Bad enough that the Barry/Torii catch “moment” is about the only other thing most folks remember. My intent today is not to provide a list of bullet points of accomplishments, lauding Commissioner Selig’s greatness. Nor is it to gush about how Commissioner Manfred has such huge shoes to fill. Rather, I have decided to take a proactive approach, and try to assist Mr. Manfred in his approach to helping our poor, broken, nearly defunct league that is barely being propped up by the over 30,000 fans that come out night after night to watch 30 teams play a 162-game schedule. For Pete’s sake (#RoseHOFReference), the game has only seen a paltry 70,000,000 or more fans pay for tickets to watch live games (not including zillions of dollars from TV & MLBAM-related media money) for 15 of the last 17 years. This includes 2007, when those of us who know how to perform non-common-core arithmetic might round up to a cool 80,000,000 (actual 2007 MLB tickets sold: 79,503,175, according to Forbes’ Maury Brown). Billions of dollars for teams in LOCAL TV deals? Owners making more money than ever? Players making more money than ever? More fans than ever paying to see a game, whether in person, via subscription, or on their mobile device? Popularity the game has never seen? Truckloads of money for local economies all over this country and others, for when the season starts in Japan, Australia, or elsewhere? O. M. G. — Somebody had better fix this. . . and fast! Commission Selig supposes the result of the 2002 All-Star Game must be a 7-7 tie. Not to worry, Robbie. Ol’ Dathan has your back with a couple more ideas to help fix what is apparently oh-so-broken, in addition to that nifty little pitch clock thing you’ve got. Suggestion #1: Eliminate balls and fouls. Are the bases loaded with only one out? IK. Is your starter running out of gas, bullpen tired, and a guy in scoring position, with 3-4-5 due up? IK. Is your name Dave Stieb? IK. Are you the 2011 Texas Rangers? IK. Suggestion #3: Reconfigure the diamond by eliminating 1st and 3rd bases. The foul lines would experimentally remain where they currently are unless it was determined that one of two conditions was not satisfactorily being met: Either the offense wasn’t producing enough runs or the pace of game was still unacceptably slow. Eliminating 1st and 3rd also ties nicely into my next suggestion. Seemingly intuitive, this rule would require implementation to ensure that a batter could hit an inside-the-park-homerun by driving a ball into the gap, and basically running a suicide sprint to second base and back. Suggestion #5: Bring the DH to the National League. Clearly, the tail has begun to wag the dog.